A Commercial Auto Insurance policy, also known as Business Auto Insurance, is actually a package of different coverages. Most states require you to purchase a minimum amount of certain kinds of coverage, but if you are interested in protecting yourself from a lawsuit or from wicked repair bills, then it makes sense to buy more than what is required. California, like most states, requires you to carry a certain amount of insurance in order to drive. The bare-bones minimum requirement is bodily injury liability coverage of $15,000 per person/ $30,000 per accident, and property damage liability coverage of $5,000 per accident. Considering the litigious nature of our society and the rising costs of hospital stays and car repairs, many people find it prudent to purchase additional limits. 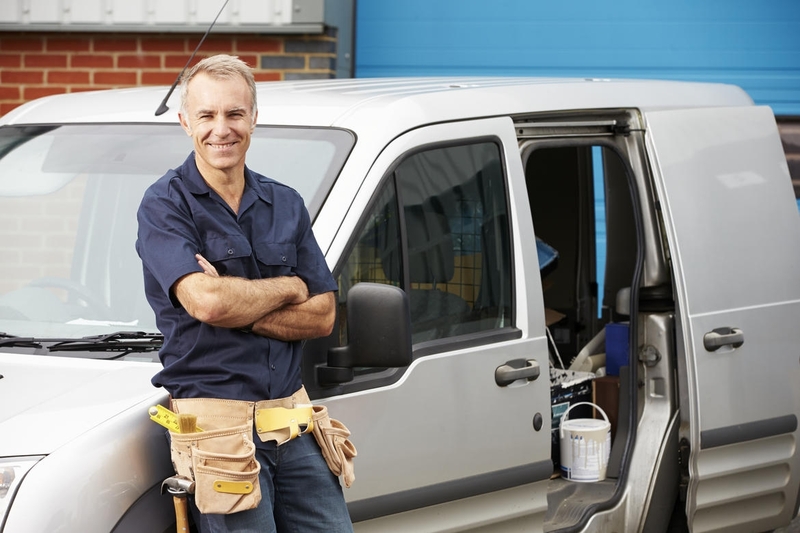 Remember, if you cause a serious accident, minimum Commercial Auto Insurance may not cover you adequately. That is why it is a good idea to buy more than what your state requires. Liability coverage is the foundation of any auto insurance policy and is required in most states. If you are at fault in an accident, your liability insurance will pay for the bodily injury and property damage expenses caused to third parties in the accident, including legal bills. Bodily injury expenses include medical bills and lost wages. Property damage expenses pay for the repair or replacement of things you wrecked. The third party may also decide to sue you in order to collect “pain and suffering” damages. If you cause an accident, collision coverage will pay to repair your vehicle. You usually can not collect any more than the actual cash value of your car, which is not the same as the car’s replacement cost. Collision coverage is normally the most expensive component of auto insurance. By choosing a higher deductible, say $250 or even $500, you can keep your premium costs down. However, keep in mind that you must pay the amount of your deductible before the insurance company kicks in any money after an accident. Insurance companies often will “total” your car if the repairs the company must pay exceed what the car is worth. Comprehensive coverage will pay for damages to your car that were not caused by an auto accident: Damages from theft, fire, vandalism, natural disasters, or hitting a deer all qualify. Comprehensive coverage also comes with a deductible, and your carrier will only pay as much as the car was at the time of damage. Because insurance companies normally will not pay you more than your car’s book value, it is helpful if you have a rough idea of this amount. Most insurance adjusters use the Kelley Blue Book. The National Automobile Dealers Association also publishes the Official Used Car Guide, which is updated each month. If your car is worth less than what you are paying for the coverage, you are better off not having it. MedPay will pay for you and your passengers’ medical expenses after an accident. These expenses can arise from accidents while you are driving your car, someone else’s car (with their permission), and injuries you or your family members incur when you are pedestrians. The coverage will pay regardless of who is at fault, but if someone else is liable, your insurer may seek to recoup the expenses from them. Uninsured motorists (UM) coverage pays for your injuries if you are struck by a hit-and-run driver or someone who does not have auto insurance. It is required in many states. Underinsured motorists (UIM) coverage will pay out if the driver who hit you causes more damage than his or her liability coverage can cover. In some states, UM or UIM coverage will also pay for property damages. Given the prevalence of uninsured drivers nationally, this coverage is essential. On average, it costs less than $40 a year for $100,000 worth and will make up for anything your medical insurance doesn’t cover. It’s more affordable than you think. Start the process and get a quote for Commercial Vehicle Insurance today. Getting a quote online is quick and easy. Simply answer a few simple questions and we will give you a quote for affordable commercial auto insurance. This short form asks a few basic questions about you and your insurance needs. This information will help us determine an accurate quote for your cheap commercial auto insurance needs.